We are french ! My husband and I went to Nepal/Tibet on October 2011. 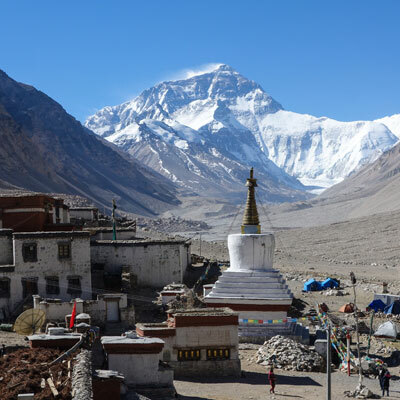 We asked Alpine Eco Trek to organise our 3 weeks trip : the famous Mt Kailash tour and the trek until the Everest advanced base camp ! First, during several months before the validation of the trip, we were impressed by the relationship by e-mail, the very clear answer to all of our questions, their way to find the best compromise and the sense of details... Then, arriving at Kathmandu, a warm welcome and a very good organisation of Alpine Eco Trek team lead by Ram, the incredible manager of the agency. We've had already in the past the experience with 3 other travel agency at Kathmandu but this time, no comparaison, the service was there : a nice and quiet hotel in the heart of Tamel, our visa in time, always someone to look for us, no bad surprises during our trip. Mt Kailash tour, Manasarova lake & Everest aera are great places to visit and we were lucky.. sun.. sun.. and sun.. every day but cold ! We recommended Alpine Eco Trek agency to our friends. You can trust this travel agency, they will organise the best trip for you in Nepal, Buthan, Tibet and much more... with smile and efficiency ! Back home again we still have great memories about our wonderful Tibet/Nepal trip organised by Alpine Eco Trek. We especially would like to thank our Tibetan guide Tashi, our driver Jimmy and the cook and yak-man who accompanied us on our trekking and who made our Tibet-experience unforgettable. The food they made for us during our trekking was beyond expectation: better than in whatever restaurant in Lhasa! This team did everything to make our holiday a success. For example: We planned a trekking from the Tsurphu monestary to Yangpachen, but due to the weather (too much snow) it was not possible to trek or camp in this area. They proposed another trekking in an area that was new for some of them, but they did a great job! The cook even invited us to spend the first evening and night at his home with his family. We had a fantastic time! After three weeks in Tibet, Ram Kumar warmly welcomed us in Nepal and Ram Kumar was our well informed guide in Kathmandu. Thank you very much to all of them and we advice anyone to book their trip to Tibet with these guys! Small tip for future travellers: check your trip planning at the beginning of the trip to avoid miscommunication or mistakes (between agencies in different countries). Also ask the guide to inform you the day before what you will be doing as daily planning might differ a bit from the Alpine Eco Trek website and this way you can come well prepared. Ram Kumar reste dans ma mémoire pour sa capacité à organiser Lhasa Kathmandu selon "mes désirs" à un tarif judicieux avec un accompagnement irréprochable. Aucune surprise désagréable du début à la fin du voyage. J'ai l'habitude de m'organiser seul, ce qui n'était pas possible pour le Tibet. Son équipe est aux petits soins. Je recommande. Cela fait longtemps que je souhaitais donner mon avis sur ce voyage d'octobre novembre 2010. 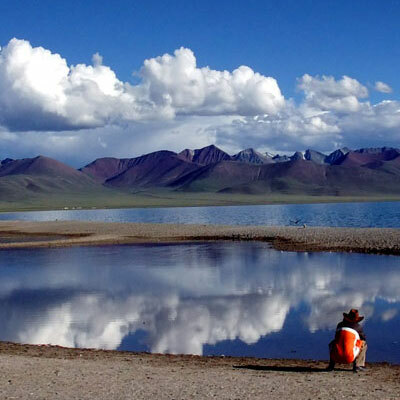 We booked Lhasa-EBC-Kathmandu overland tour from Alpine Eco Trek. The manager Ram Kumar organised the tour and answered very quickly to all of our questions. Tibetan part of the tour was done by their partner Tibet Kyunglung Travel service which was very good and professional company as well. Overall we were very satisfied with the tour and would definitely consider using them again! My partner, Mike, organised a trip through Bhutan, Nepal, Tibet and China using a Chinese travel agent. Our intent was to enter Tibet through Nepal. Our chinese travel agent was struggling to get our permit into Tibet. Mike on a previous visit to Nepal had worked with Alpine Eco Trek and remembering their friendliness and great service called upon them for assistance. Within two days we had the permit in our hand. Thanks to Ram and his team, what seemed impossible was made possible! 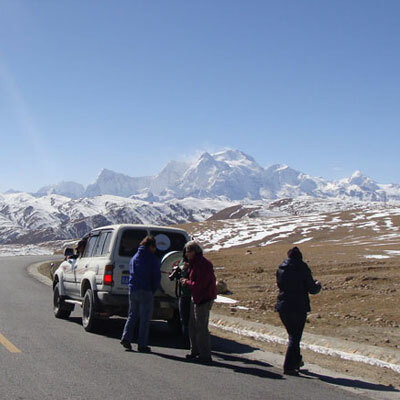 Alpine Eco Trek organised our guide and transport to the Tibetan border with quick efficiency. What a wonderful experience Tibet was! Many thanks to Alpine Eco trek! I booked a tour from Australia over the internet Alpine Eco Trek early last year to go to Mt Kailash. All organised tours with Australian companies were out of my budget. Therefore my only option was to book on line. At first I was not sure if Alpine eco trek was a genuine company but with many email correspondance with Ram Kumar I was satisfied that the company was genuine. I was only asked for a small deposit and full payment on arival which made me feel comfortable. My trip was meant to be with a larger group, however on arrival to Nepal I was advised that there were not many people booked for the tour and that Alpine eco trek would still provide a tour and that I would be going with only two other people. This felt like a private tour with no extra charge. Our Tibetan tour guide and driver were wonderful and I would have no hesitation in recommending him His name was Pintso. He looked after all of our needs 24/7 truely magnificent. Overall I would be happy to recommend Ram and his team for any tour and I will be using their services again on my next trip. The journey to Tibet was fantastic! Thanks for the help in organizing. The driver was very safe and our guide was very experienced and knowledgeable. We would certainly use your service again. Thanks! My son and I just came back from an incredible trip to Tibet and Nepal. The entire trip was organized by Alpine Eco Trek and we are so happy we chose this company for our trip. Every detail was taken into consideration and yet they were able to be flexible if we needed to make a change to the itinerary. Our tour guide from Tibet was Tenzing and he was one of the best tour guides we've ever had. Our driver was extremely safe and the transportation the company provided was excellent. Once into Nepal we were fortunate to meet Ram Kumar, the owner of the company. He is a well experienced and knowledgeable about Tibet. He took us a place for fare well dinner and it was fabulous time with him in typical Nepalese with dancing and eating delicious food. If we come back to Tibet for holiday trip, we will use Ram's company (Alpine Eco Trek). Also we do not hesitate to recommend his company to our friends. Very good company to explore Tibet, Nepal and Bhutan. This time we visit eight days Tibet, six days Bhutan and four days Kathmandu. Extremely professionals, because we had a lot of doubts and they answer patiently all our doubts and make us one travel absolutely according to our preferences. We recommend totally the company. 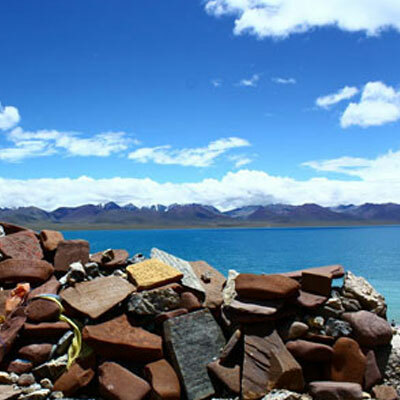 We are planning to make Lhasa - Mt.Kailash in the next trip with you. 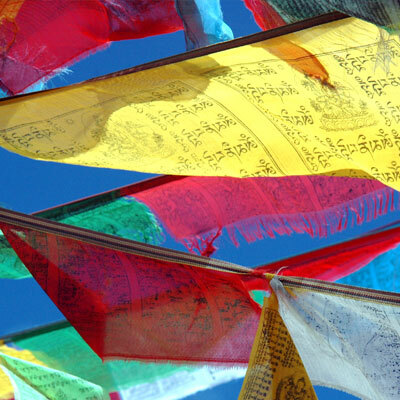 Our experiences in Tibet are still fresh in our mind - experiences that we will never forget. We want to thank Ram Kumar especially as well as everyone who contributed to making our pilgrimage such a memorable occasion. You guys were absolutely wonderful, always optimistic, and always ready with a smile that brightened up our days. You are truly the greatest! Thank you very much again. We will back for Nepal trekking for sure! See you soon. We were four people from Germany, traveled with the Alpine Eco Trek & expedition to Tibet and Bhutan, both guided tours with accommodation, transport and guide. In Tibet, we did the Lhasa-Kathmandu overland tour incl. EBC and Nam Tso Lake; in Bhutan we did a round-trip incl. the Punakha. The trips were perfectly organized; we felt we were taken care off in a highly professional and honest way. Our trips were tailor-made according to our wishes at very reasonable prices. and its staff perfectly know the region and gave us perfect support for the planning of our trips and before we went there. We highly recommend Alpine Eco Trek & Expedition. It is a friendly, trustworthy and reliable tour agency for all kinds of trips in the Himalayan regions. We were four of us and took 08 days Kathmandu to Lhasa Overland private tour with Alpine Eco Trek . Initially we were very much confused to choose the agency and we visited many travel agencies in Thamel but no one could give us right information with competitive price. 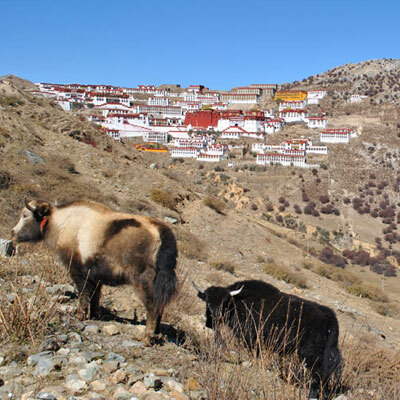 Finally we found Alpine Eco Trek is the best because they are very informative, knowledgeable and well known about Tibet. We had very good trip. They have very good guides and drivers with them. Our guide was so co-operative and his service was excellent and driver was very nice, very safe driver and a funny man. I had the opportunity to go for Holy trip to Mount Kailash with Alpine Eco Trek. Entire Alpine Eco Trek team was so co-operative and their service was excellent. All the travelers were greatly pleased with their hospitality. I suggest you to choose Alpine Eco Trek & Expedition for organizing your Kailash tour and enjoy a comfortable and memorable Journey.